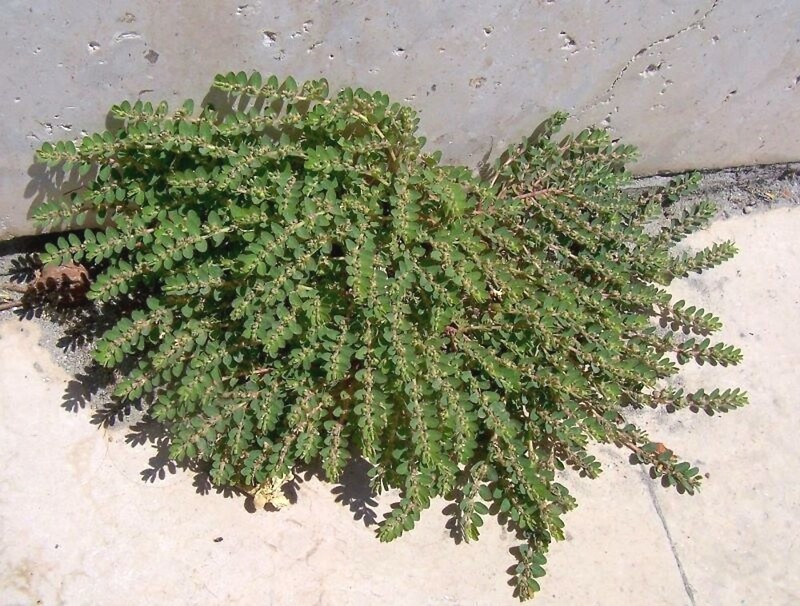 Prostrate sandmat is native to tropical and subtropical America, as well as the central portion of the United States. 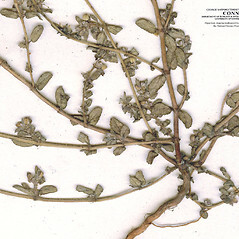 It is introduced to many other parts of the world, including eastern and western North America. This is a common weed of roadsides and commercial greenhouses in the southern and central United States. 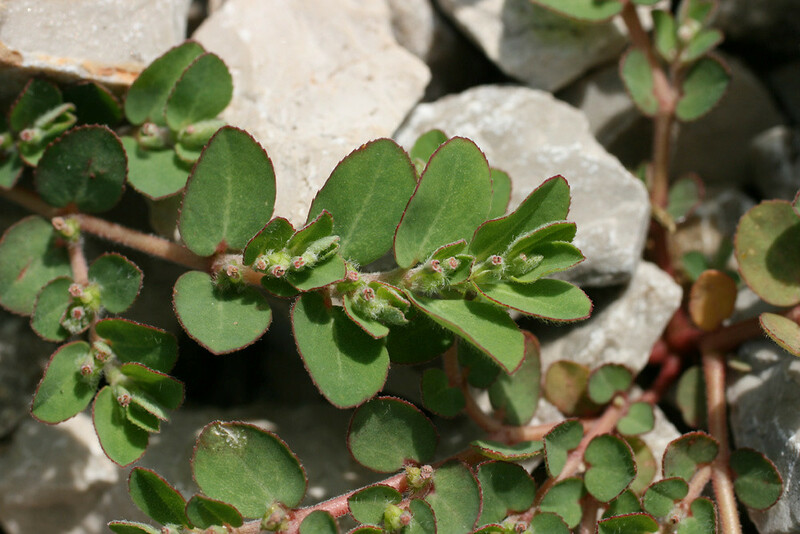 Extracts of the plant have been studied and marketed in India as a treatment for hemorrhoids. It is a rare visitor to New England, having been collected only from cotton waste in Massachusetts. 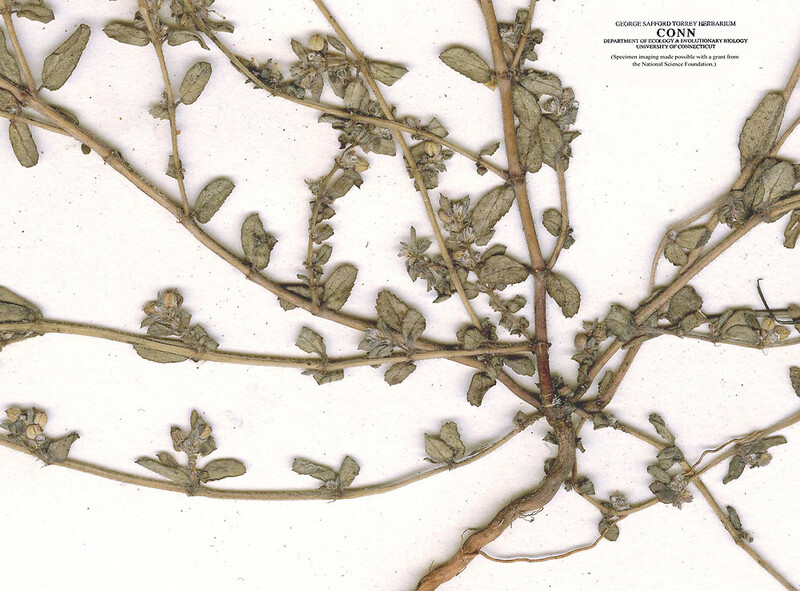 styles 0.3–0.4 mm long, divided in the apical 1/3 to 1/4, capsules appressed-puberulent, and seeds usually finely wrinked with inconspicuous transverse ridges on each face (vs. E. prostrata, with styles 0.2–0.3 mm long, divided nearly to the base, capsules spreading-villous, at least on the angles, and seeds with 3 or 4 prominent transverse ridges on each face). 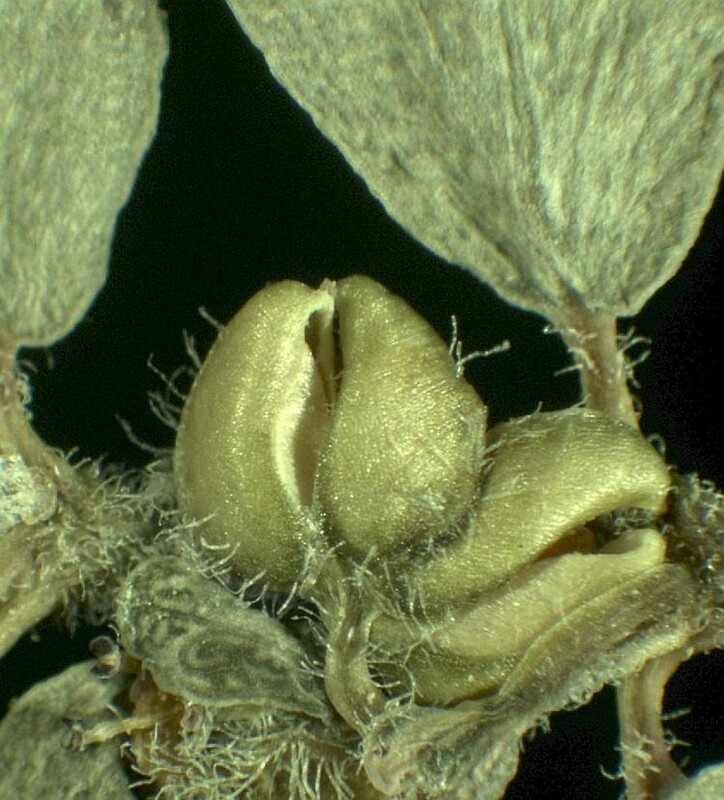 ovary and capsule glabrous, and seeds usually finely wrinked with inconspicuous transverse ridges on each face(vs. E. prostrata, with the ovary and capsule pubescent, and seeds with 3 or 4 prominent transverse ridges on each face). 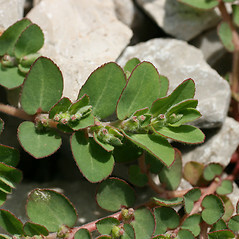 Euphorbia chamaesyce, auct. non L.
prostrate sandmat. 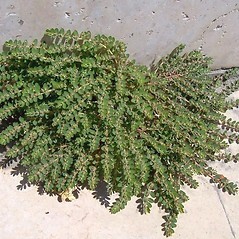 Chamaesyce prostrata (Ait.) Small; Euphorbia chamaesyce, auct. non L. • MA. Cotton waste.